Simon Armitage is a multi-award winning poet, playwright, and novelist. In light of his recent nomination for the post of Professor of Poetry at Oxford University, I spoke to him about what he would hope to bring to the role, writing collaboratively, and creating poetic voices. Reading, really. When I was at school, about age 16, I started reading Ted Hughes. It was really from that point on that I wanted to be involved with poetry. I saw it as a way forward. I don’t think I knew then that I wanted to write, but I knew that I wanted to read and acquire books. The BBC are making a radio documentary about a book of Ted’s called Poetry in the Making, which is a published version of some talks he gave on radio on how to write poems. I remember reading that book way back then and following his instructions. Do you feel that poetry has some kind of function or role to play in society? I absolutely do. It’s more relevant than ever in a number of different ways. I think we do live in a world now that is completely bursting with information and entertainment and it comes at us all the time, it’s difficult to get away from it sometimes. In the context of that, I think poetry is one considered voice — a more mediated voice as well, which is something quite rare. I think people do appreciate it. It might not be as visible as I might want it to be in bookshops and places like that, but it is undoubtedly very present when you go to festivals, there’s a big spoken word scene. I think people are very drawn to intense forms of language, even in a form that we might not immediately recognise as poetry. It’s being utilised everywhere, for advertising campaigns, political slogans, song lyrics — they all use poetic devices. It’s not often up-front about its conspicuousness, but it’s very often there in other forms. There also seems to be a fair amount on radio, and in light of this I wanted to ask you about ‘The Killing of Sophie Lancaster’ (a series of poetic monologues written for radio, based around the murder of Sophie Lancaster). How do you feel about the moral issues involved in writing this kind of text, and how did you got about finding or creating her voice? I think the starting point was to do with permission. I went to see Sophie’s mum, Sylvia Lancaster, about a year after the court case, and talked to her about making a documentary film. I couldn’t get a commission for the film at the time, so that slipped into abeyance. Later on I got a chance to revisit the idea and make it as a radio play. It’s a very unusual piece of radio as it’s part dramatised voice (the vocal part that I wrote for Sophie), put with Sylvia talking about Sophie as a child, growing up, and then the way that she died. Those responsibilities that you mention start with getting someone’s permission and somebody’s blessing to be involved. I spent a lot of time with Sylvia and listened to her talking, and tried to draw Sophie’s voice from that. But it’s become an ongoing project — it’s recently been made into a television film which will be broadcast on the BBC in October. It also had a life as a play at the Royal Exchange in Manchester. … It’s something where everybody who has been involved has become very close. It’s not a usual project for me, it’s become something like a heart-felt campaign which is different from my usual approach to an artistic piece of writing. When I read this poem there’s a sense of her voice in the way the words are laid out on the page. I don’t know whether it’s just me reading into it, but I felt that the way that it’s set out on the right-hand page conveys a sense of shyness and alterity. Do you think that your poems take on a new character in performance — do you write them to read or to hear? That sequence of poems was very much written to be spoken by an actress. Rachel Austin, who played the part of Sophie both in the radio play and in the stage and film versions — I can’t separate her voice from the poems now, I hear them in her voice. I’ve only ever read one section of those poems out loud myself, so I don’t really think of them as being written for my voice. After I’d written them, they didn’t really have a particular form on the page as they weren’t necessarily meant for publication at that time. So I had to sit down and think about the layout and it’s interesting that you say that about the impression that they give you, of being arranged right. I hope there’s a sense of Sophie not being here, a voice from the other side, if you like. The idea of an alternative culture, almost something slightly disembodied about it. When you’re writing something that is very consciously somebody else’s voice, how do you parse that with your voice as a poet? Talking about voice makes me think about your translations. What draws you to texts to translate them — I’m thinking particularly of Homer’s ‘Odyssey’ and ‘Gawain and the Green Knight’ — and how much do you think of it as being Simon Armitage’s Odyssey? It’s definitely me in there! It would be a bit pointless for me if it wasn’t. I’m not a translator of Ancient Greek, I don’t read Ancient Greek, so they are very much dramatisations. So it is a take on the original story, and the story is a template and a backdrop. What’s laid on top of that is my version. Actually I’m just writing another dramatisation of the Odyssey which is about to go on tour in the Autumn, and that’s set both in the Ancient Classical world and in the contemporary world in Westminster. With the translations of a Middle English poem there’s still an element of that going on. If you’re a poet, you’re always going to be a poet when you’re approaching texts, even if those texts are originally from somebody and somewhere else. That translation is a little closer to the original but I don’t see myself as an academic translator, I’m more interested in poeticisation, trying to emphasise and amplify the poetic aspects of the original. Do you feel that your poems are rooted in a specific sense of space and place? A lot of my published work is, but I don’t see myself as a spokesperson for West Yorkshire or anything like that. But they are certainly written with a perspective from this geography and region and its vocabulary. With something like the poems for Sophie, they were written because she doesn’t have a voice, it was taken away, so I was trying to create that space. You’ve written so much across so many different genres. Is there anything that you feel is missing, or that you’d like to try and haven’t had the opportunity to yet? That’s a good question! I don’t know, I probably won’t know until somebody asks me to do it. I’m writing a lot of theatre at the moment and really enjoying writing dialogue without worrying about whether it rhymes or not! 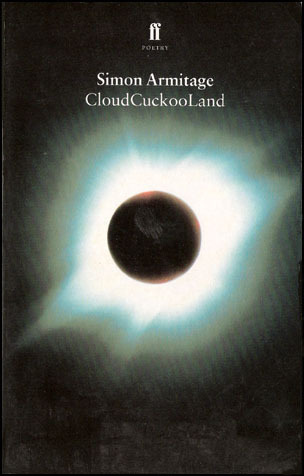 You’ve previously said that you wrote your constellation poems in ‘CloudCuckooLand’ at a rate of one poem per day. Did you ever go back and revise them? It was an unusual period for me, a period of really intense creativity. The revision was all the way through the printing and publication process. The only short poems, but I did find that once I’d got on a roll that I did feel very focused and that the poems were coming out very clearly to begin with. If I leave something for a long time, I find it difficult to pick it back up again. What do you see as the most exciting new paths for poetry? I think if you’d asked me ten years ago I probably would have said the internet — the sense that it gave power back to the people writing, that you could short circuit a lot of the publication process. Unfortunately though, that means that a lot of the editorial process has also been bypassed, some of the quality control has been taken out. That seems to have all settled down a bit now, the internet is just one more place where you can find poetry. I think it is an incredible resource — for example it changes people’s understanding of terms that they come across in poetry as they can look things up immediately. You can be reading in bed and look up definitions of words you come across in the poems. But I wonder now whether the most exciting new paths will be something to do with a more artisan approach. People taking matters into their own hands with self-printing and self-publication, limited editions, hand-written things, a sort of counter-culture in response to the closing down of independent bookshops. Do you feel that there’s more of an editorial process involved in that compared to the internet? I do, yes. Anyone can be a poet, publisher, and editor in ten seconds on the internet. But all those various stages and procedures that slow conception and delivery down are all moments at which contemplation and change can take place. There’s quite a culture of competitions and then publication for poetry. Do you think this is a good thing or that it can be restrictive as people then write for competition regulations? I think there probably is an element of people writing for competition guidelines. But it might be a necessary kind of evil. … I know for a lot of people it is fun, it spices things up a little bit. A similar accusation is levied against creative writing culture, MA courses, workshops etc., that they produce a standard writer, but for everybody doing it that way there’s somebody doing it another way. It’s just one way of getting to the end. Also, creative writing courses and everything that comes with them give people access to literature that they might not necessarily have just sitting on their own. This is a very specific question, but one of my favourite poems is ‘Andromeda’ (about someone who ties up the daughter of a rich man in a well, and nobody comes to save her). I was wondering if that poem is from personal experience, where did it come from? It certainly does come from personal experience. I was a probation officer for quite a long time in Greater Manchester, and I worked in Wakefield Prison (a high security prison where some of Britain’s most notorious prisoners were, and are, held). That particular incident relates to a man who murdered a woman — when I was younger it was a big story in the newspapers — he had kept her down a well in a park. And I suddenly found myself face to face with him. Do you feel that a lot of your poems are semi auto-biographical? That one is. That whole sequence is shot through with autobiography. Sometimes the poems veer off into myth and self-myth, they don’t all necessarily rely on an autobiographical certainty. I often start with something that has happened and use that as a base, then remember at some point that I’m not writing diary extracts, I’m trying to communicate an idea, and allow the poem to go off in a different direction. For me, reading your poems there’s a certain sense of isolation, a distance between the characters and their voice. Is there a conscious solitude or loneliness that makes its way into your poems? It’s funny you say that because I think at the end of the day, it is a solitary activity. It’s something that comes from a great deal of introspection, at least in my case. That introspection is of a kind that often brings you down a little bit and slows you down. So if there tends to be a sense of isolation or even loneliness in the poems sometimes I think that’s why, it’s the nature of the activity and pensive thought. In fact my next book is called The Unaccompanied, and it’s for those reasons. Do you find that changes at all with more collaborative projects, say writing for theatre? It does, yes. It’s one of the reasons that I’m drawn to collaborative projects — it gets you out of the house! It gets you out of your own head, and gives the excitement of hearing other people’s ideas and seeing the way that they work, and also the rudimentary things like conversation and communication. I think it’s necessary for me to find that balance in life, I can’t sit on my own forever looking out of a window! Do you slightly change how you write when you’re accounting for other media like the on-stage visuals and sound? That’s the pleasure of working collaboratively, you’ve got to take those things into account. As soon as you start doing that, it provokes new responses in you that you probably wouldn’t have found on your own. It’s the same with commissioned work. Also I think it requires a slightly different approach to the one you might take on the page. If it’s on stage or screen or coming out of a speaker it’s going past at a governed rate that you can’t change. You don’t get a second chance as an audience or listener to go back and take another look. So I think I write in a way that is probably more immediate. Finally, are you particularly keen on having the position of Professor of Poetry at Oxford? Yes I am! I’m very enthusiastic about it, I’d really like to do it. I wouldn’t have put myself forward if I hadn’t been. I gave the Hillary [Memorial] lecture at Oxford about two or three months ago, and I really enjoyed writing it and giving the presentation. I think I’ve got a lot to say about contemporary poetry and its situation in this world, the things that we’ve been talking about. And I’ve always loved close reading, drilling down into poems and opening them up. So it would be a challenge but a great thrill. I think it’s a good opportunity, for someone who sees themselves as a communicator, to communicate. For more information about Simon Armitage and his forthcoming publications, please visit his website.